San Diego's Premier Pop, Rock, Funk and Soul Band Providing Live Entertainment for Corporate Events, Private Parties, Festivals, Music Venues, Bars and Night Clubs. The Best Hits of the 60's, 70's, 80's and more. Jeff is a vocalist and keyboard player who hails from Springsteen's swamps and shores of Jersey. His musical influences range from the 70's folk rock harmonies of Crosby Stills & Nash, Eagles and Doobie Brothers to the jazz and funk keyboard work of Herbie Hancock, Lyle Mays and Dr. John. Jeff can be heard on the soon to be released EP by Bob Gannon, LA based producer and former drummer for The Furious Seasons. Kyle is a singer/songwriter currently based in San Diego. His style of music however, comes from his roots of growing up in Detroit, Michigan. Kyle plays and sings all styles of music, with his biggest influences being John Mayer, James Taylor, The Eagles and Tom Petty. He is also known for playing songs by artists like Neil Diamond and Prince. “I play music purely because I enjoy it. If it wasn’t fun, it wouldn’t be worth doing”. Steve began playing the drums at the age of five. Throughout his school days on Long Island, NY, he also learned to play multiple brass instruments. Preferring the drums, Steve began playing in the bar scenes in New York with several rock bands. 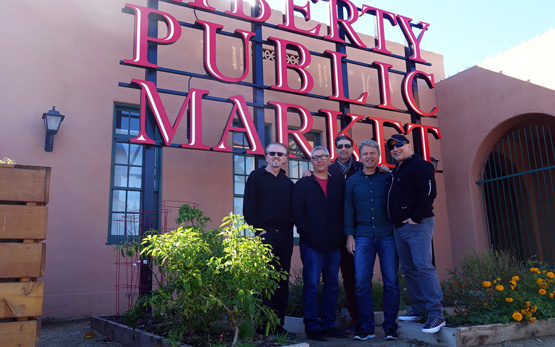 Since moving to San Diego in 1991, he has played in several bands and many venues in and around San Diego, and is one of the founding members of Backstage Pass. Mick began playing guitar at the age of 15 and joined his first band while in high school. He has played in various bands over the last 20 years, and is one of the founding members of Backstage Pass. His influences include David Gilmour, Albert King, Keith Richards and Billy Gibbons. He has a wide variety of musical tastes and playing styles, and can be found listening to and paying everything from rock, pop, funk and blues. Rich picked up a guitar as a teenager and was captivated by the unmistakable tone of the Stratocaster. His playing combines elements of blues, folk, and rock and is heavily influenced by guitar greats Hendrix, Jimmy Page, and Stevie Ray Vaughan. He also embraces new singer songwriters and the modern Americana genre. Rich writes original compositions, heard on his Podcast, the Struggle Brothers Show. With more than 35 years experience playing guitar, bass, and singing, Wolff has played in many cover and originals acts over his career. His originals have been played on Bay Area and San Diego radio and TV, and he has played live in countries as diverse as Fiji , Switzerland, Honduras and his native England. His energetic bass style drives the bands bottom end. He has released two CDs, in both 2009 and 2016. There's nothing like live music to liven up your event. From private parties to music festivals and corporate events, we've got you covered. We carefully select the songs on our ever-expanding set lists to achieve the most impact and listener enjoyment for your event. Our versatile singers and musicians work hard to replicate the songs that we have all grown to love. 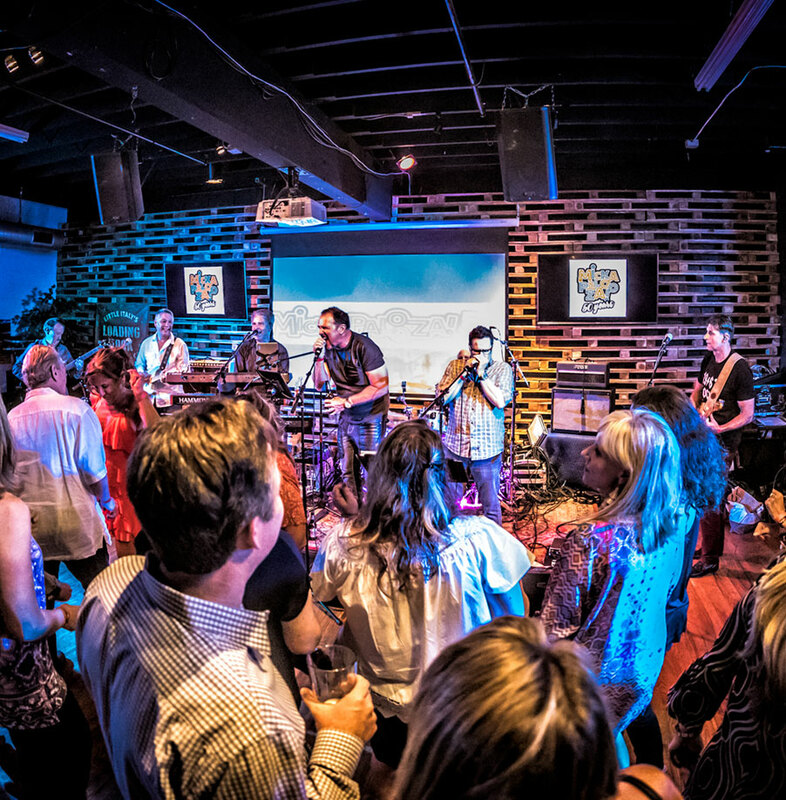 If you are looking to hire one of the best live rock/dance bands in San Diego for your private party, festival, club or corporate event, we are the band for you! All of our members share a passion for making music and entertaining our listeners. We are professional, easy-going, drug-free, reliable, well dressed and, most importantly, listen to our clients. We realize that appropriate communication is the most important element to a successful event, and we make sure to accommodate any special needs. We can provide all of the professional gear and sound/lighting equipment to make your event unforgettable. San Diego Pop, Rock, Funk and Soul Band Providing Live Entertainment for Corporate Events, Private Parties, Festivals, Music Venues, Bars and Night Clubs. Backstage Pass is a San Diego-based rock, funk and soul band with a reputation for providing an exciting and energetic musical experience.